Best Burn Firewood made a promise in 2016: To provide the safest and most efficient Wisconsin firewood to its customers. One of our highest rated products is our Wisconsin Oak Firewood! Many people who use firewood for heat prefer oak firewood, and we don't blame them! The wood is very solid, heavy, and has a slow-burning process that emits steady warmth. Additionally, when properly dried, oak firewood has an exceptionally intense, long burn-time. 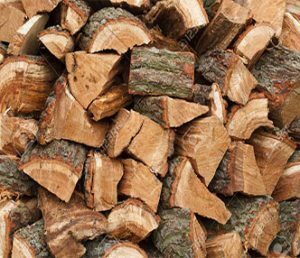 Thanks to our kiln-dried process, our firewood also burns about 35% hotter than standard air dried wood due to the exceptionally low amount of moisture in the log, allowing it to use less energy to burn & creating much more heat! Oak firewood also produces a nice aroma when burnt, it is one reason why restaurants prefer to use oak firewood for their cooking needs. Our Wisconsin oak firewood makes the best Wisconsin firewood for sale hands down! White oak produces around 27-29 million BTUs per cord, while Red oak produces 28-29 million BTUs per cord. Oak firewood has an extremely good reputation in Wisconsin, and we won't argue! Oak is usually one of our top recommended firewoods since it can be used for heating your home very efficiently, and also is very popular for cooking meats as well! If you are looking to heat your home this winter with the best heating wood around, I would strongly suggest purchasing oak firewood. We guarantee you that Best Burn Firewood is your best choice for your Wisconsin oak firewood! Why Best Burn Firewood is the Best Choice for your Wisconsin Oak Firewood! Kiln-Dried Firewood– Kiln-dried firewood burns twice as hot as regular firewood and lights immediately. Best Burn Firewood Burns Clean– Kiln-dried firewood creates less creosote chemicals. Delivery within 24 Hours– Deliveries are almost always made the same day you place your order. Professional Firewood Delivery- Every firewood delivery is hand-loaded by our experienced team. 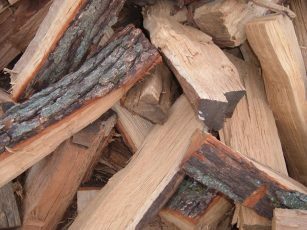 According to the National Research Institute of Sustainable Energy, firewood offers a cost-effective solution for domestic heating. It is a better solution because it’s more economic than heat, gas or oil; uses 100% local energy efficiently, and is carbon neutral. Choose Best Burn Firewood every day and we will make sure to provide you with the best kiln-dried Wisconsin firewood! We Guarantee That Your Family Will Stay Worm This Winter!